DrinkWire is Liquor.com’s showcase for the best articles, recipes and reviews from the web’s top writers and bloggers. 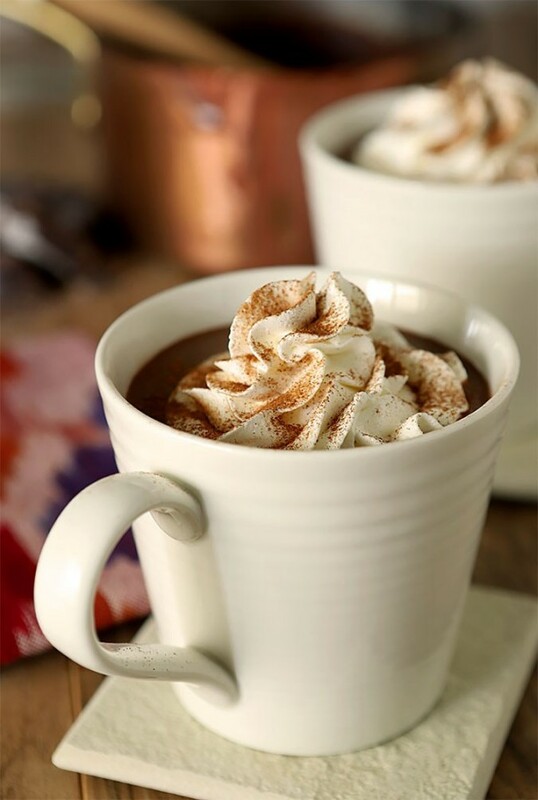 In this post, Creative Culinary offers a boozy hot chocolate recipe. For very many years I only associated tequila with bad margaritas or single shots taken quickly and finished with a lick of salt off of my hand followed by sucking on a wedge of lime (oh yes I did!). About 20 years ago I was schooled a bit about the value of aging and discovered the beauty of Reposado and Anejo tequilas. I began making my favorite margaritas and enjoyed good sipping tequila. It was a great lesson learned and those cocktails were good…but that was it, that was all tequila was good for, right? Absolutely not! One year I made a warm coffee cocktail that was spiked with tequila and Kahlau and it was so good. I think using tequila typically in conjunction with citrus has too often limited our imaginations when thinking about possibilities. Used in a cocktail like this one the effect is warming and rich and wonderful. You have to promise to try it so you can also enjoy how good it is! This drink calls for using disks of Mexican chocolate. 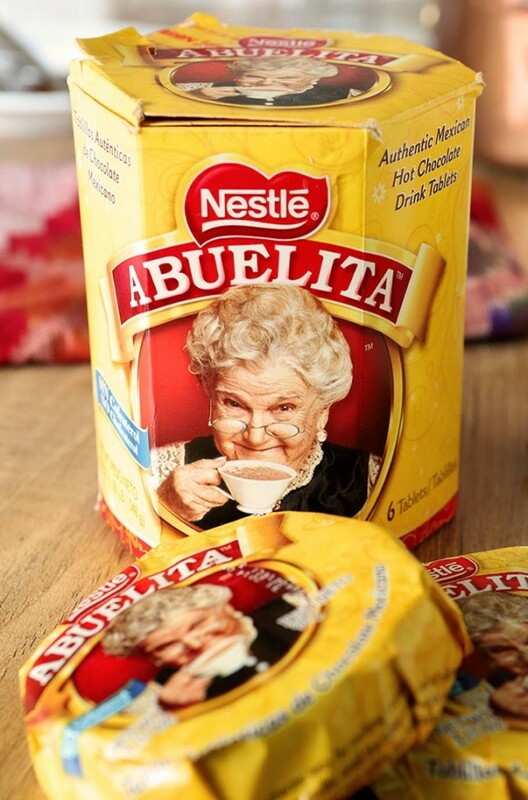 One brand I’ve used is Ibarra but today my pantry had this Nestle version. You should be able to find a package of them in the Mexican section of your local store but if not they are available online. They’re a combination of chocolate and sugar and a hint of cinnamon…and really do make this cocktail fantastic. 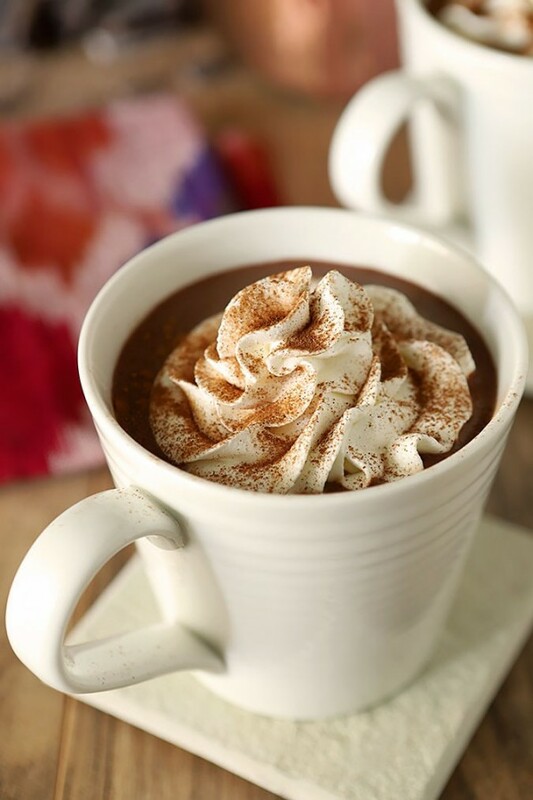 If you can’t find them, then use regular chocolate and sprinkle a bit of cinnamon into the drink as well as using it for garnish. I took another leap of faith last year with these same ingredients and I think it resulted in the best pie I’ve ever made. Using this cocktail as inspiration I revised my favorite French Silk Pie with the addition of some tequila and cayenne pepper. OMG so good; you must try my version with a Mexican twist. The key is to keep the spice modest so it just tickles your throat; the tequila is balanced nicely by the chocolate and sugar and all around it’s a really wonderful variation to an already delicious pie. We have not been blessed with the cold recently sent to the eastern seaboard and points inland. While I am not eager for temps below zero degrees, I am ready for some snow. In Colorado, we NEED snow. Snow in the winter is hugely important to our water supply in the summer when our semi-arid region needs reservoirs to get us through the dry season. If we don’t get some snow soon; we’ll have water restrictions and I’m not eager for those…my garden isn’t either. So this cocktail is meant for two things. Hoping it will warm the souls of those suffering from the frigid cold and send a message to the Snow God that I am ready…bring it! 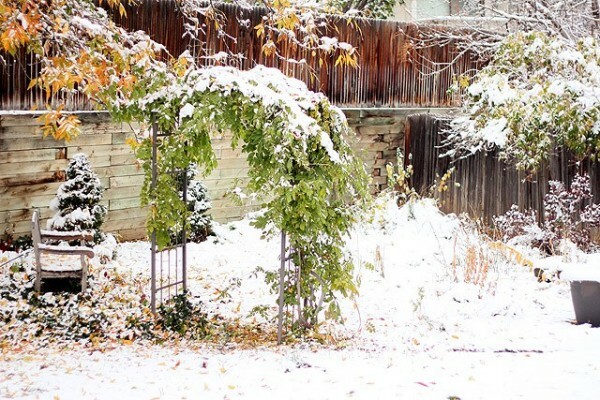 This photo is actually one from my old yard; it snowed the day I originally posted this cocktail in 2012; that was my inspiration then. Now it’s bass ackwards and I’m hoping it will bring some of the white flurries stat. We had rain this week in Denver; almost unheard of in January but I’m hoping that’s a good sign! This post today is a redo…trust me if I have posts 5 years or older they will get their turn. The old photo wasn’t really horrid even but I messed up when I styled it. I had these nice clear mugs with handles I thought the cocktail would look good in. And it did…but it wasn’t until I got my photos into Photoshop that I saw something I hated. The mugs I used had raised lettering and this adorable rooster on the sides; so very country. So very not me. It was much more evident in Photoshop than in my camera as I didn’t recall it bothering me when I was shooting. UGH…I just don’t consider a tequila drink too adorable so every single time I saw this page I grimaced that I let that slip by me.The weather combined with my need to redo saw this finally be the day. Just in time for you to make some over the weekend; you won’t regret it…Cheers! The post Mexican Hot Chocolate with Tequila and Cayenne Pepper appeared first on Creative Culinary.